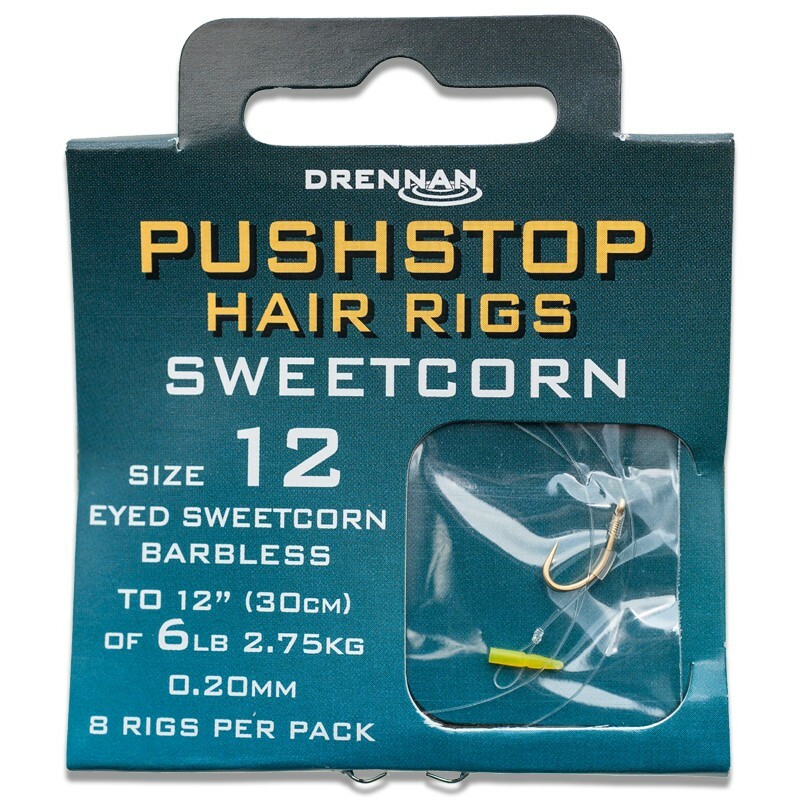 Drennan Barbless Pushstop Hair Rigs Sweetcorn are designed specifically for fishing this most popular hook bait. The hair length on these rigs is matched to individual hook size & the Pushstops are precision made. 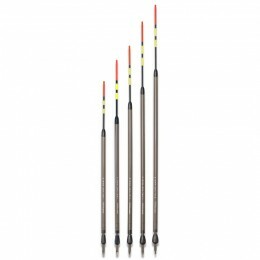 The strong wire gauge, special shape and colour of these Drennan Barbless Sweetcorn Hooks are ideal for fishing bright yellow corn and the silicone tube helps to keep the hair in place along the back of the shank and allows you to make small adjustments to the position of the bait. 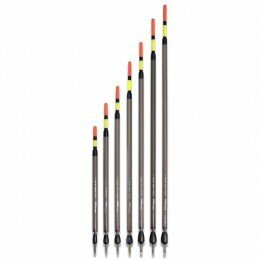 Size 8 - Size 8 is the largest of the Drennan Sweetcorn Quickstop Rigs and will need several pieces of corn to fill up the hair. 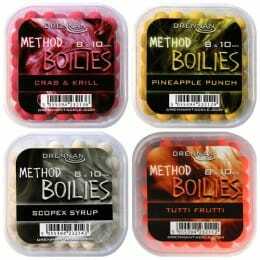 Size 10 - Size 10 is a big strong hook ideal for bigger Carp. Several grains of corn can be stacked up to fill the hair. Size 12 - Two large grains of corn can be fished on this size 12 and threaded onto the rig in different ways. 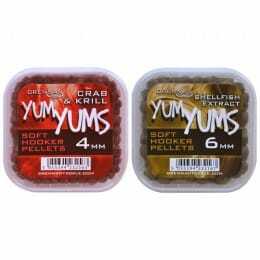 Size 14 - 14's are a popular hook size ideal for a single large grain of corn fished longways or for two smaller grains mounted crossways. Size 16 - A single large grain of sweetcorn mounted longways or two much smaller pieces crossways will fish effectively on these size 16's.